So, you’re thinking about selling your home yourself. Before you put that sign in the yard, here are a few points to consider. If you’re looking at the “numbers” and want to avoid hiring a professional Realtor to represent you, thus avoiding paying commission for their services, there’s another number you might want to consider. Only five percent of home purchases were made directly from previous owner last year, according to the National Association of Realtor’s 2016 Profile of Buyers and Sellers. Of that number, two percent knew the owner before the transaction. So, if you’re looking to sell it yourself, the “numbers” are stacked against you with only a five percent chance of success. A second number you might want to consider is where those same buyers found the home they purchased. A record 50 percent found the home they purchased by searching the internet in 2016. Here again, a professional Realtor who’s affiliated with the Greater Chattanooga Association of Realtors has the opportunity to advertise your home to over 80 sites and provide maximum exposure to home buyers. There are several options for an individual to place a home for sale on the internet, but the list pales in comparison to what a Realtor can bring to the table. If you’re still considering going it alone, there’s one more number you might want to take into account. Of the 5.45 million homes sold nationally in 2016, 88 percent of those transactions were processed through a real estate agent or broker. If you’re avoiding hiring an experienced Realtor, thinking you’re eliminating a cost, you’re also eliminating the greatest source of qualified buyer leads. One last number is harder to measure: The value of your safety. Are you really going to open your door and guide strangers through your home? Or worse, hide a key or leave a door open for them to enter alone? 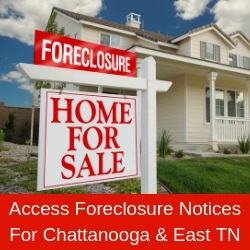 In order to be a licensed Realtor in Tennessee, you must not only attend education and pass a state examination, you must also pass a background check, be insured and be affiliated with a brokerage. What’s more, the lockbox assigned to your home by a local GCAR member is electronic. All activity can be tracked to the minute it was opened, and it can only opened with a special “key” obtained from GCAR. So, before you stick a sign in the yard, call an experienced Realtor who’s affiliated with GCAR to get their expert opinion of what your home might bring and how long it will take to sell. My experience tells me that you can get more money faster by working with a Realtor and not leave yourself and family at risk of harm.